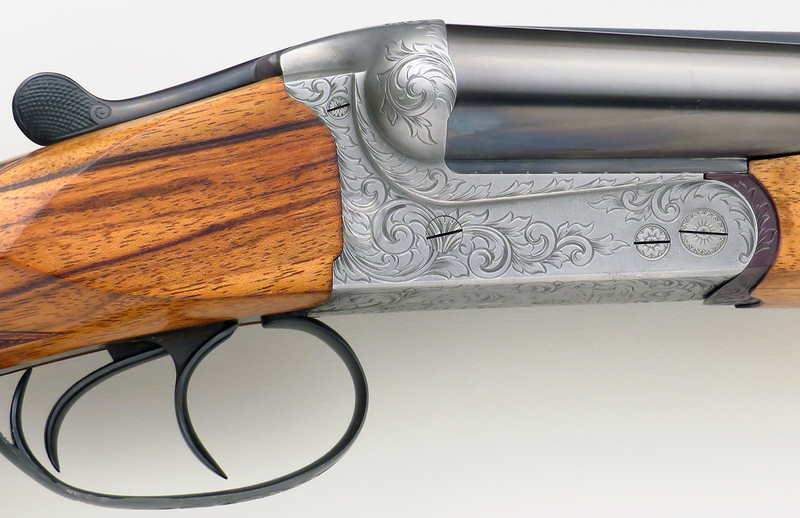 Rigby .470 Nitro Express double rifle, engraved by Barry Lee Hands, ejectors, exhibition grade English walnut, 99% overall - Sportsman's Legacy, Fine firearms, related books and sporting collectibles. Representing estates, collectors and nonprofit conservation organizations. 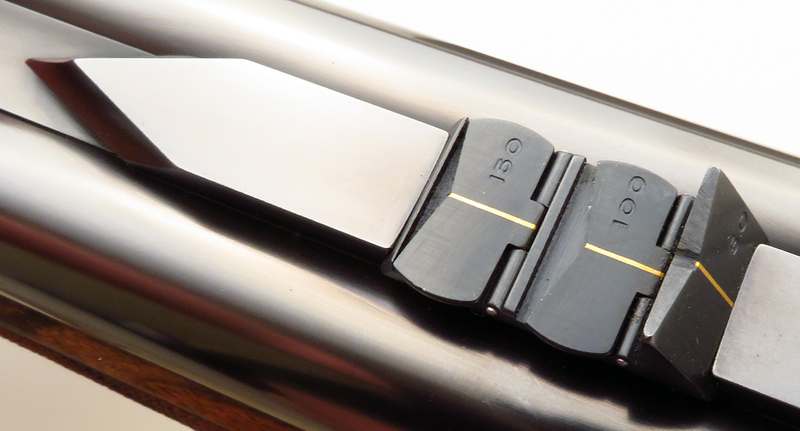 Rigby .470 Nitro Express boxlock ejector double rifle engraved by Barry Lee Hands. Delivered in 2000, serial number 382652 was highlighted in Winter 2003 issue of Double Gun Journal as the lead rifle in William Headrick’s feature Doubles for Dangerous Doings (copy included). The barrels are 26-inches long with a bead front sight, express rear sights (one fixed and two folders), each leaf dressed with a gold sighting line and regulation distance (50/100/150) on its face. 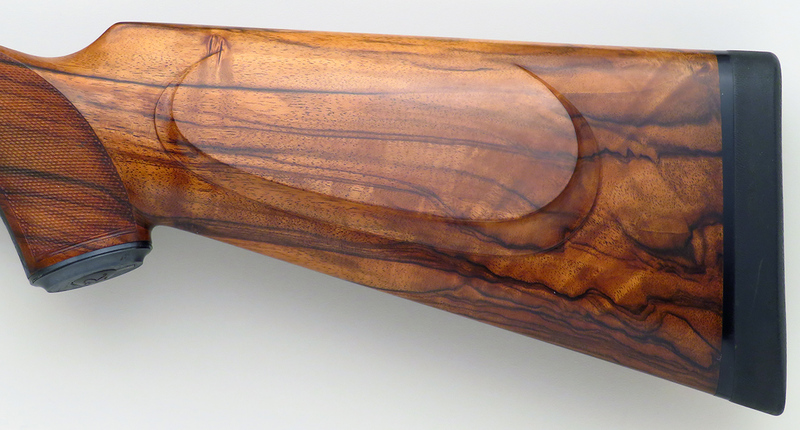 Features include exhibition grade English walnut, beavertail forend, bordered checkering, manual safety, trap door grip cap, English cheekpiece and a mercury recoil reducer. 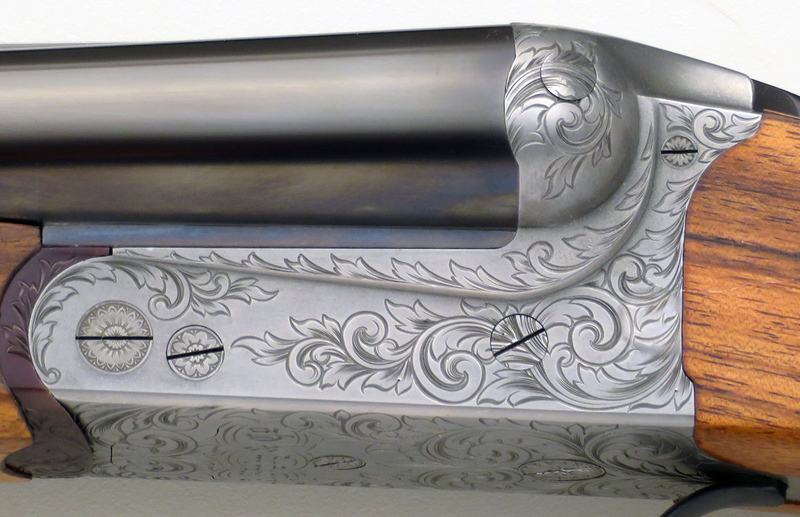 ENGRAVING: The action is graced with dramatic scroll to nearly full coverage, the pattern continuing along the top lever, tangs and then reappearing on the forend furniture and grip cap. “J. Rigby & Co.” centers on the lower receiver, “John Rigby & Co.” rides the left barrel and “.470 N.E.” appears in the rib flat. The famous adorsed “RR” logo covers the trap door cap and “SAFE” appears in gold ahead of the tang safety. DIMENSIONS: Weight is 13.4 pounds (including removable mercury recoil reducer/s). Length-of-pull is 14.75 inches, drops are 1.5 and 2 inches, and cast off is approxiately .375 inch. CONDITION: Bores are bright and shiny. 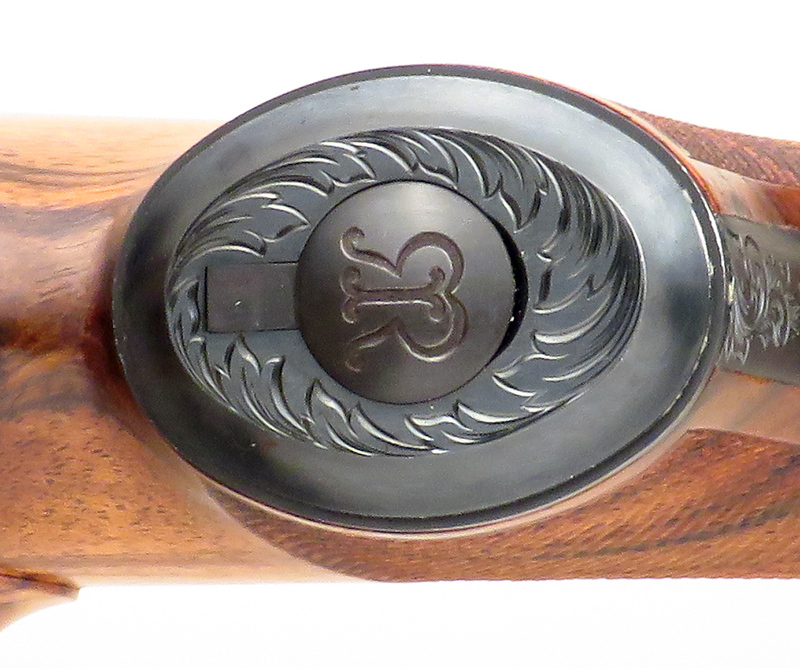 The polished rust blue of the barrels, guard, forend furniture, top lever and grip cap is 99%. The nickeled receiver rates the same. 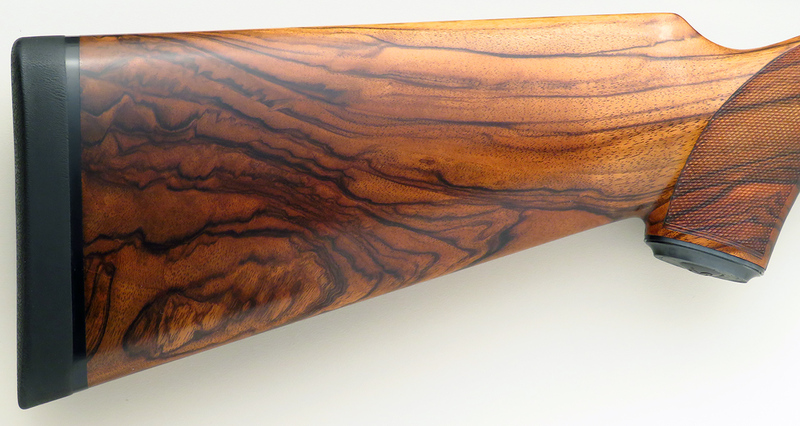 Wood is about 98% overall, with minor field impressions and slight indications of handling and storage wear. INCLUSIONS: Original order sheet dated 2/4/00.